Novartis used human machines in a print advertising campaign for Voltaren Gel, the anti-inflammatory drug used for muscle pain relief. 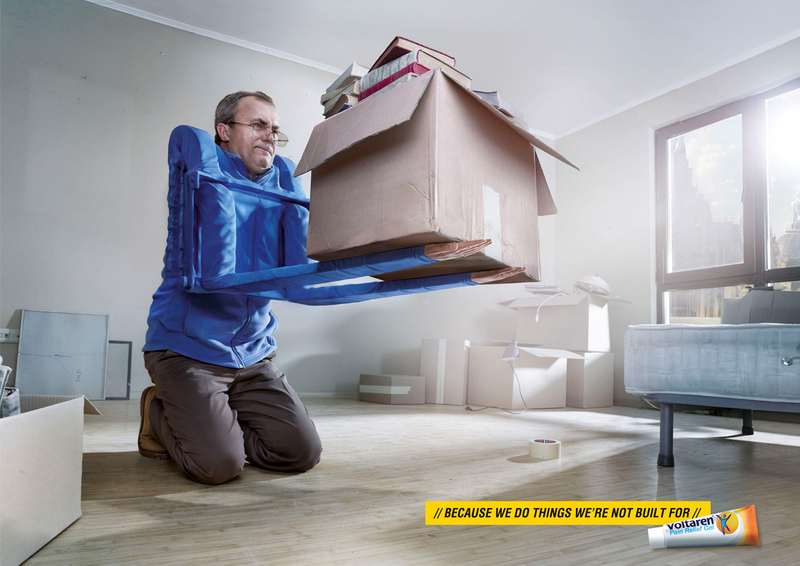 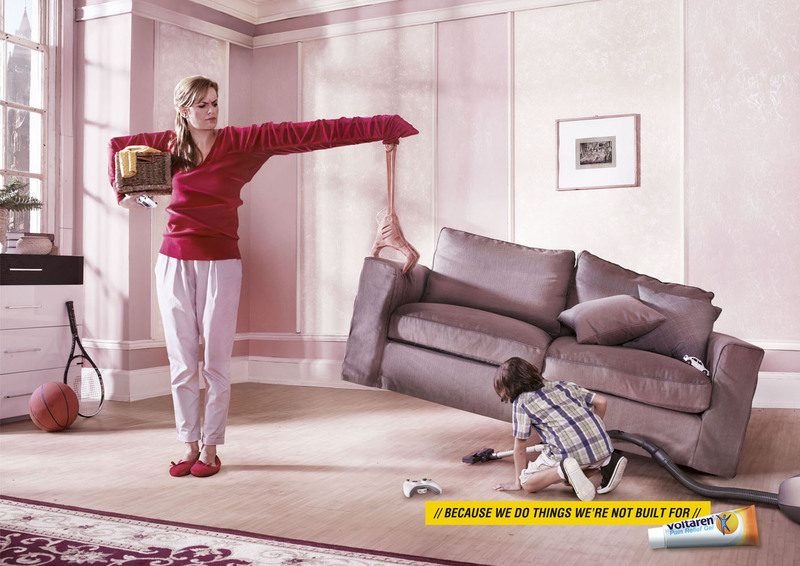 The headline in the three print advertisements, “Because we do things we’re not built for”, is given a visual interpretation with adults acting as a crane, forklift and digger. 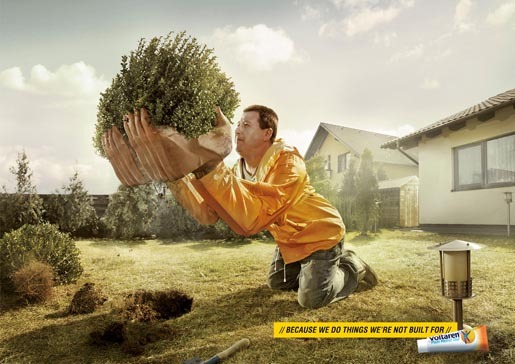 The Human Machine campaign was developed at Saatchi & Saatchi Switzerland, by chief creative officer John Pallant and Derek Green, creative director Leon Jacobs, copywriter Daniel Lunn, art director Daniela Nedelschi, art buyer Tania Retchisky, account supervisors Stephanie Rupp and Joan Flanagan, advertiser’s supervisor Charlie Hough, account managers Emma Jenkin and Jooske Welten, planner Carolyn Dateo, with photography by Carioca.